Without a doubt Cristiano Ronaldo.Such professionalism.Such integrity. Sachin: in terms of complete mastery of his sport. There's perhaps no one more skilled at his individual sport. He has virtually all the batting records and he goes about his game in the most humble but prodigious fashion. In terms of athletic ability and mental fortitude, Nadal. For me, Favourite Sportsman: Tough to pick as I like many sports but it has to be Sachin Tendulkar, Donald Bradman. Muhammed Ali, That is all. Absolutely brilliant to watch him bowl and probably one of the smartest cricketers ever. There's perhaps no one more skilled at his individual sport. No. One man cannot dominate Cricket like Schumacher, Clark or Fangio could dominate their sport. Im not really a fan, but he defines what it is to be a sportsman. He is the yardstick. 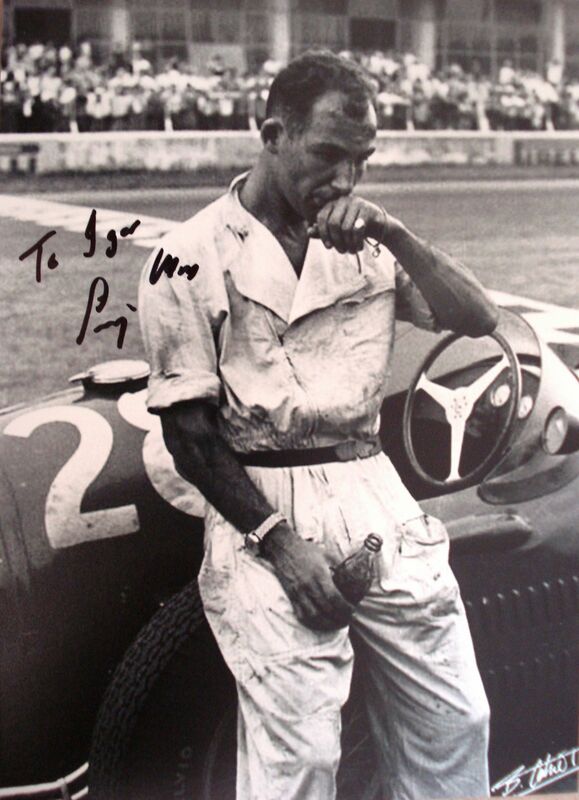 Stirling Moss, such a dude. Disagree. Bradman played on uncovered pitches which were suited for bowlers. Tendulkar always has and always will playing batting paradises. Tendulkar is a fantastic batsman and obviously has achieved great things but I can't look past Bradman. True, but as good or significant as Federer? No way. Having seen both, to me, Bradman doesn't match Sachin's grace, inventiveness, style or technique. Tendulkar isn't technically the best batsman, he's just been playing for a very long time accumalating a lot of runs along the way. He's just been persistent with his game. I wouldn't call him naturally talented/gifted in his sport. Depends if your the sort of person that thinks Golf, Darts or F1 is sport. This, Bradman played on pitches which were suited to bowlers. His average was 99 which is outstanding and that's why Bradman up imo. I love to watch his bowl, he was a genius. His bowl against gatting, pure class. F1 is as much a sport as any other sport like football. So are golf and darts. F1 falls under motor-racing, which is a sport. I agree with you, the poster i replied to said they were not sports. Plus Usain Bolt and Jesse Owens.